Monday night, the U.S. Senate overwhelmingly approved an $80 billion annual increase in military spending, enough to make tuition free at all public colleges and universities in the country. President Donald Trump had only asked for $54 billion. Politicians from both parties derided Sen. Bernie Sanders for pledging free public school tuition last year, claiming it would bankrupt the country. But where are those howls now? It’s no surprise that higher education is getting more expensive in this country. But it might be a surprise that it doesn’t have to, if we’d fund education properly. Instead, we encourage students to make up for funding shortfalls with student loans, impeding their ability to buy a home, have children or save for their retirement. We often talk about the rising costs of education in terms of 4-year institutions. But most higher education students in Washington are in the public community colleges. Almost 20,000 students took classes at Everett Community College in the 2015-16 academic year. The college awards more than 1,000 associate degrees every year, as well as 500 certificates and adult high school degrees. In fact, the Aspen Institute has named EvCC as one of the best in the nation in terms of student success. EvCC is a community resource for all ages. About 1 of 5 students at EvCC is under 18 years old. These high school students are taking community colleges courses as part of the Running Start program, which allows them to earn high school and college credits at the same time. 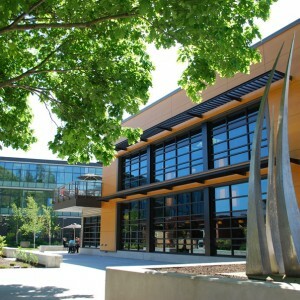 Half of EvCC students are between 21 and 30, and almost 1 out of 5 are older than 41. EvCC enables academic do-overs that open doors to employment and advancement. For all of its students, EvCC satisfies intellectual endeavors, no matter what the degree or age of the student. With Washington State University having just opened the first building of its new branch campus on Broadway opposite EvCC, students now have an easier path to transfer to a 4-year program. EvCC is also a “Boeing Partner,” serving more than 1,000 Boeing employees per year with professional continuing education, certificates and degree programs. In its failing effort to fully fund K-12 education, the Legislature has increased tuition at public community colleges and universities across the state. Last year, tuition and fees at EvCC totaled $4,500 per year for a full-time student. This year it creeps up to $4,600. If you go on to WSU Everett, then your tuition jumps to $11,000. Sticking to EvCC, $4,600 is 17 percent of the per-capita income in Everett. But when you throw in books, rent, food and transportation, EvCC costs about $19,000 — that’s 72 percent of per capita income! A full-time worker paid minimum wage makes $22,000 a year. But students who want to do well don’t have the time to work full-time. Some 30 percent of students at Everett receive need-based financial aid. What about the other 70 percent? If you are lower income, you might qualify for a grant, but because the Legislature refused to fully fund the state need grant, an estimated 24,000 eligible students have not received grants they were eligible for so far this year. If you are middle income, with a family income of $65,000, you are pretty much on your own. That’s how much our state lawmakers actually value access to higher education. To make up for lack of state funding, students must take out loans. Nationally, 2 out of 5 community college students take on student debt, with average debt of about $10,000. That’s not without long-term consequences. Every $10,000 you have in student debt can cut more than $100,000 from your 401(k) balance by the time you retire. Washington state didn’t always under-fund community college. In 1980, full-time annual tuition was less than $900 — that’s after adjusting for inflation! And it’s not like this everywhere. In California, community college tuition costs less than $1,500 a year. The reason we don’t fund public education isn’t because we can’t; it’s because there isn’t the political will. Politicians would have to stand up to moneyed interests. That means taxing the very wealthy who pay proportionally less in taxes than the middle-class and poor. It would require a tax system that closed the billion dollar leaks created by and for lobbyists for Boeing, Microsoft, and other corporate behemoths. It would require political will and courage. That appears to be missing in Washington state.